MiLB Playoff Action: Oh, My! Ems Back in the Finals! When Hillsboro’s Matt Mercer took the mound in the first inning on Thursday in game 2 of the NWL Divisional playoffs, he looked like a man on a mission. Mercer was pumping his fastball into the zone with some nice life. Eugene hitters looked over matched. 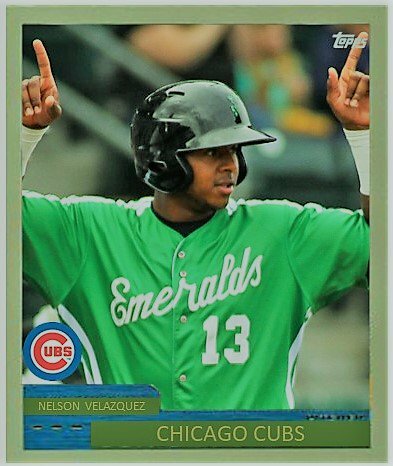 I thought, “I can’t wait until he comes out of the game and Eugene gets into the Hops’ bullpen.” By the end of the first inning, Hillsboro had a 1-0 lead and I was sure of it. Mercer looked locked in from the start and in the second, the Ems’ results were just like the first – three up, three down. Mercer was at 30 pitches and almost looked invincible. Luckily for the Ems, their pitcher, Faustino Carrera settled down in the second and put the Hops away 1-2-3. When Mercer was done filleting the Ems in the third with his 38th pitch, Carrera began to struggle in the third. He started the inning at 22 pitches. After a single, a HBP, and walk, Carrera had the bases loaded. When Carrera finished the thrd, the Hops did not score. Thankfully, Mercer was done after 4 perfect innings. The 6th round pick out of Oregon threw one of the best starts I saw all year. Still, the Ems did not get a hit in the 5th either off of replacement Jackson Goddard. However, when the 6th inning came, the Ems got back-to-back hits by Caleb Knight and Luis Vazquez to end the no hitter. When Grant Fennell struck out, the Ems stole 2nd and 3rd on the last strike to set things up for Nelson Velazquez. Velazquez beat out an infield chopper as the 1B did not catch the semi-wild throw. Both runners scored and the Ems went up 2-1. Velazquez then stole second and came home on a Luke Reynolds double to go up 3-1. That was a stunning turn of events. In the bottom of the inning, Fauris Guerrero relieved Carrera of pitching but gave up a run to make it 3-2. Luckily, that is all the Hops got that inning leaving the bases loaded. 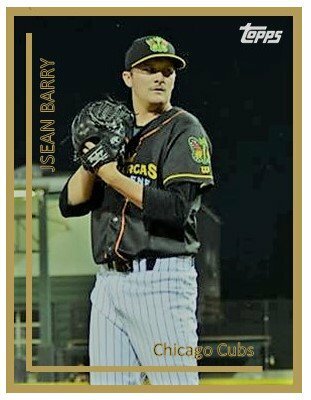 In the seventh, Sean Barry came in. He looked like a God for two innings striking out four Hillsboro batters. In the ninth, he came back out to finish off the Hops. I was a little surprised to see that happen. He struck out the first batter and then gave up a single and a double. So, not only was the tying run at third, the winning run was at second. Manager Steve Lerud went to the pen one more time. Michigan State product and 2018 draft pick Riley McCauley came in to finish off the Hops. 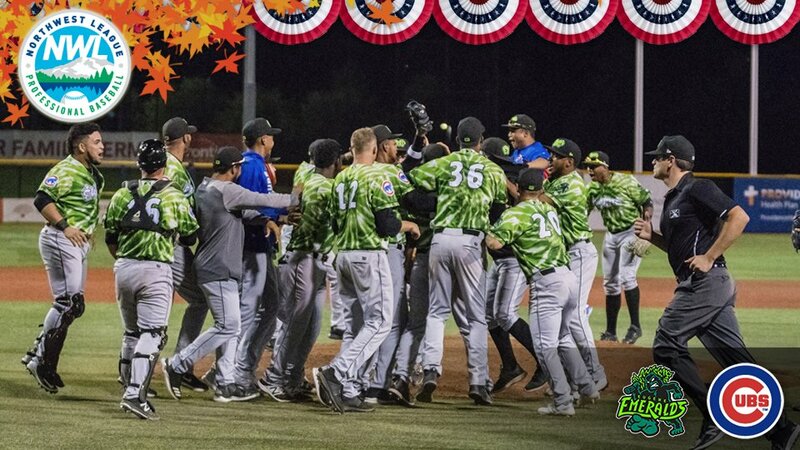 After getting a dramatic strikeout, McCauley was able to get Jake McCarthy to pop out to Luis Vazquez to end the game and send the Ems to the Northwest League Championship Series! The Ems will play the winner of the Everett Aqua Sox and Spokane Indians in a best-of-five match up. Those two teams are knotted up at one. 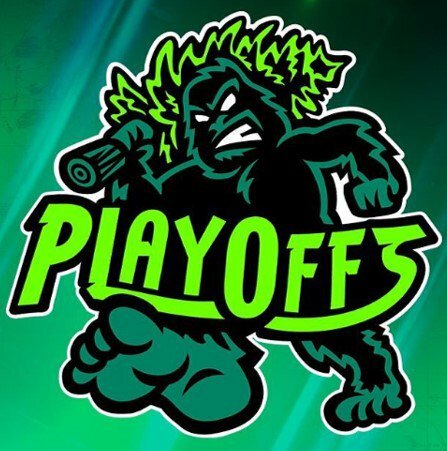 ‹ PreviousMiLB Playoff Action – Eugene Gets Going with a Huge Upset Win!